Elizabeth Martin joined Goldman Sachs in 2000 as a trader and has since worked her way up through the equities business. 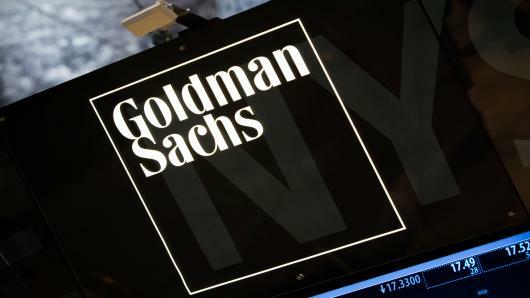 Goldman Sachs is relocating one of its top US equities traders to head up its European execution business, according to a memo seen by The TRADE. Elizabeth Martin has been appointed head of EMEA equities execution and global chief operating officer for electronic equities execution services. She will focus on developing global electronic execution products and client services across the trade lifecycle. Her promotion to the senior role follows the decision by Todd Hohman to retire after 24 years with the firm. A spokesperson confirmed the contents of the memo. Martin was previously co-head of Americans electronic trading products and head of systematic market making for US listed options. She joined Goldman Sachs in 2000 as a derivatives trader and has since worked her way up to become chief of staff for equities and global head of equities management. Martin will report to Raj Mahajan, global co-head of execution services, Philip Berlinski, co-head of global equities trading and execution services, and Konstantin Shakhnovich, global head of FICC electronic trading. It is the latest reshuffle to its global equities team, following the appointment of Philip Berlinski as co-head of global equities trading and services last year. US banks have made several moves to prop up electronic equities teams in Europe, as the onset of MiFID II looks to dramatically shift how banks carry out trading. JP Morgan's Luiz De Salvo, previously global co-head of cash equities trading, relocated to London to take on a wider role as head of EMEA cash equity sales and trading. His extended role for European equities trading followed the planned departure of Laurent Marquis to Citadel Securities in June. Similarly, Citi began widespread changes to its equities team last year when it hired Vince Folliot from Bank of America Merrill Lynch as co-head of EMEA strategic equities. It then appointed Murray Roos and Dan Keegan as co-heads of global equities.